Oregano is a member of the mint family, which also includes it's less-pungent cousin, Marjoram. It's origins are from the Mediterranean and southern Europe's temperate climates, where is has been used for centuries as an herb for cooking. There are many varieties that are hardy to Zone 5, which makes it a great perennial herb for the home gardener. It's most popular use is in Italian-American cooking (pasta sauces, pizza etc) and combines well with spicy dishes originating from Southern Italy (In Northern Italian cooking, the less pungent Marjoram is used. Northern Italian cooking flavor profile is different than the south because of the climate and available foods of Alpine regions). Oregano is also widely used in Greek and Turkish cuisine as a flavoring for meat dishes, salads and sauces. This perennial herb (Zones 5 through 9) self-seeds easily and spreads aggressively, so my advice is to grow in a spot where you won't mind it taking over or alternatively, growing in a large pot of half wine barrel. 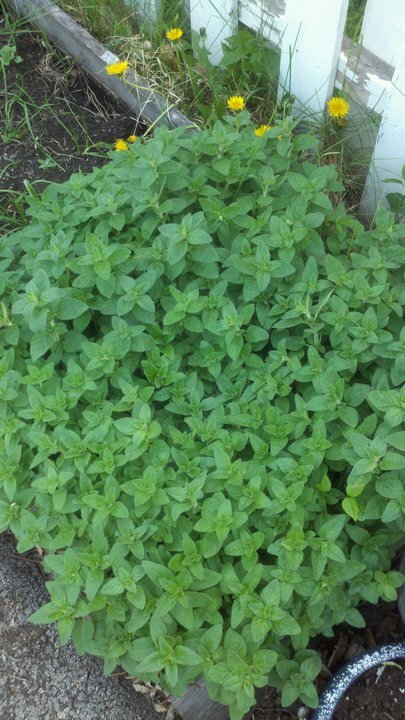 Oregano requires full sun and low to moderate moisture. It does quite well in drought conditions. It will grow to a mature height of about 3 feet and produce white or pink flowers depending on the variety. 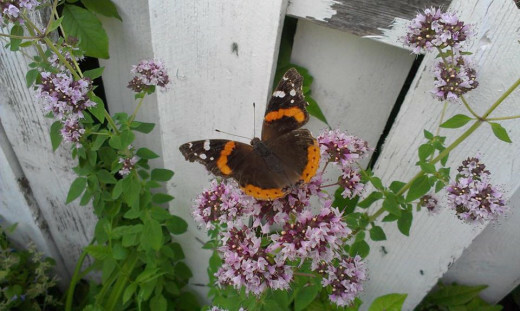 The flowers will attract bees and butterflies and aside from being a great cooking herb, it does great in a wildflower border or butterfly garden. Pruning the plant and pruning off the flower heads will produce a bushier plant if that is desired. 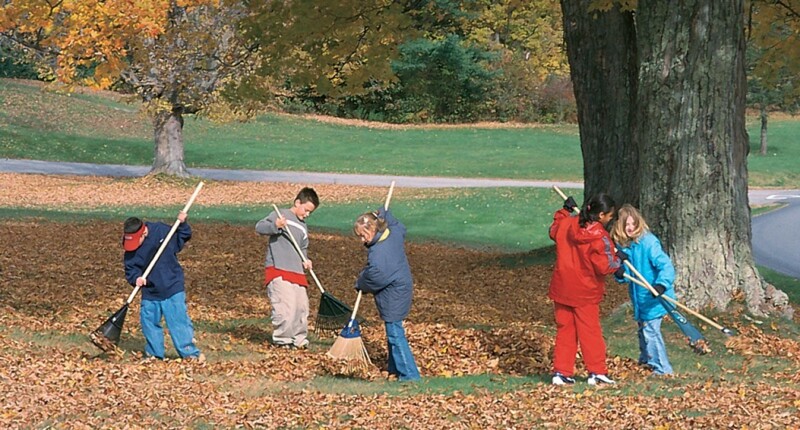 Thin your clump after 3 or 4 years by digging out a clump in the spring. They root really well, so you can dig the clump and plant in another spot, put it in a pot or give the clump to friends and neighbors for their gardens. Oregano starts easily from seed and is best started indoors 6 to 8 weeks before your last frost date. It also roots well via cuttings without the need for a rooting hormone application. 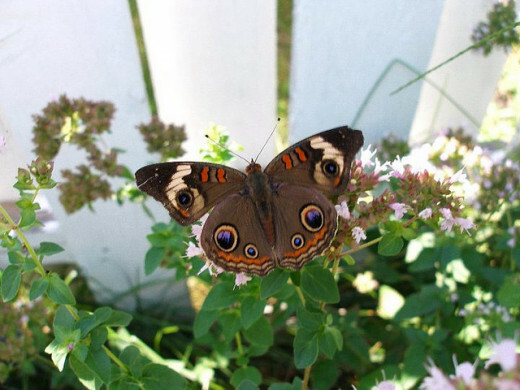 Will you grow oregano this season? Use the fresh leaves in salads, stews and sauces. 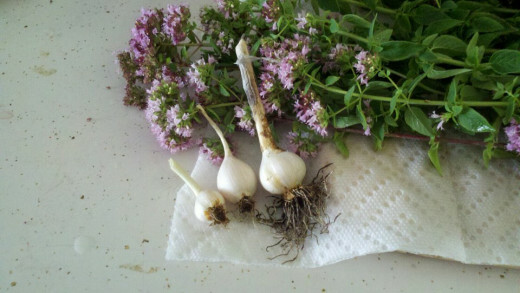 Or if you prefer to dry them, cut a bunch and tie them together at the end of the stems with some twine. Hang the bunches upside down in a well-ventilated area away from direct sunlight (sunlight will break down the oils in the plant). Drying can take up to two weeks. Just keep checking the leaves for "crispiness". Once dry, strip the leaves from the stalks and store in a glass container with a lid. Store in the spice cabinet with your other spices. Dried oregano is more pungent than fresh oregano, so a little goes a long way! There are literally dozens of different varieties out on the market today with varying levels of spice, pungency and bloom and leaf colors. 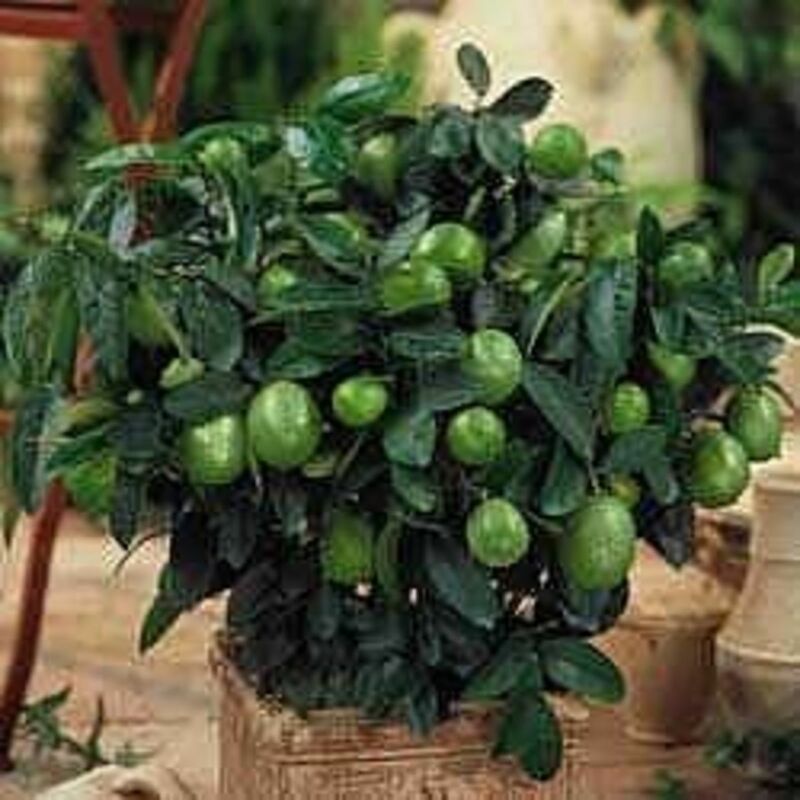 Greek: Has a hot and peppery flavor with white flowers and extremely drought-tolerant. Italian: The most commonly used type in Italian dishes, white and or light pink flowers. Milder flavor than Greek. Turkish: Strong, intense flavor that is perfect for flavoring meats and has pink flowers. Fresh Oregano leaves are at their most intense flavor in mid-summer, just before the plant produces flowers. 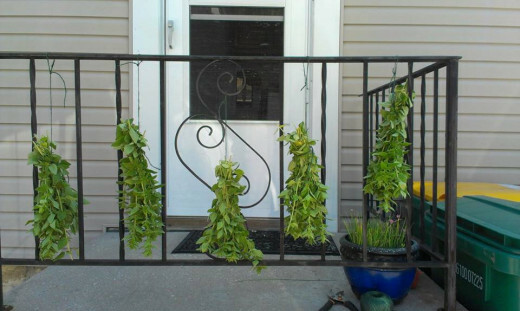 The dried herb you get from the store is a combination of several different varieties of Oregano and it is hard to duplicate that flavor when growing your own. Oregano is high in antioxidants, Phenols and is considered an antimicrobial. When distilled into an essential oil, it has been used taken internally to treat the flu, viruses, intestinal upsets, Listeria and food-borne pathogens. It is also effective when drunk as a tea. Many people swear by it's medicinal uses. Always make sure if you take in the essential oil form that you get the oil from a reputable source and that is 100% essential oil of Oregano. 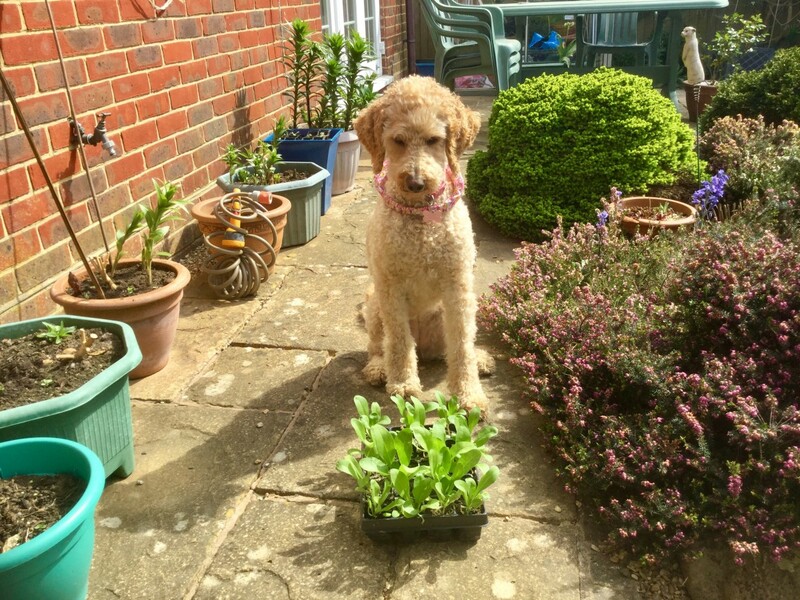 In the summer months, I like to make a Greek-style cucumber salad using the cucumbers, onions and oregano I grow in my garden. It is a quick and easy side dish that works well at picnics and grilling out. Cucumbers, peeled, sliced lengthwise and then sliced about 1/4 inch thick. Thinly sliced onions about 1/2 a cup ( works best if sliced on a mandolin). I usually use red or purple onions, but any you have on hand will work. Fresh oregano leaves. Give them a quick rip or chop to release the oils. Fresh or dried dill, chopped. Crumbled Feta cheese (1/2 or 1 container, whichever you prefer). Olive Oil (about 1/2 cup). Red Wine Vinegar (about 3/4 cup). Salt to taste (I like to use sea salt or Himalayan salt). Combine the oil, salt, pepper, oregano, dill and red wine vinegar in a bowl and whisk. Add in the chopped cucumbers and onions. Toss to combine thoroughly. I find that when I make this salad several hours before serving or even a day before, the flavors have a chance to marinate together, which leads to a better tasting finished product. Toss it thoroughly once more before serving. Another awesome article. This (and other herbs) has been on my "gonna do" list for awhile now. This is quite helpful! And the recipe is great too! Very good informative hub about growing oregano Lisa. Great pics and nice recipe as well. Voted up. Maybe you got a bad batch of seeds? Try again with a new packet. Make sure temps are between 65 and 70 degrees for germination. If that doesn't work, you can always buy a baby plant from the garden center. What an awesome Hub! I tried growing oregano from seeds last year, but I must have done something wrong. Taking your advice and trying again for sure. Lovely photos! The cucumber salad sounds fantastic! Thanks!